Erudite is the best CAT Coaching and MBA entrance exam training Institute in Kolkata, India. 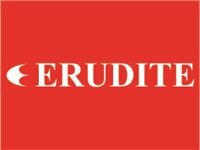 In the last 16 years, Erudite has built a brand which has dedicated itself to provide quality MBA test prep education and training to the students. Erudite has been known for providing the most comprehensive CAT coaching to the CAT 2015 and IIM aspirants. Erudite's Core policy is Student first i.e. interest of the students comes above everything. The team of CAT experts comprises of alumni of IIMs and XLRI. The team ensures that students get personalized attention to overcome their weaknesses. Record of success year on year has proven the effectiveness of our Teaching Methodology as CAT Kolkata Toppers have always been from Erudite. Erudite is indeed the best coaching center to join for CAT and other MBA entrance exams. Erudite website consists of all vital information regarding CAT i.e. CAT overview, CAT Syllabus, CAT exam details, CAT Course structure, IIMs Placement record and information related to other B-Schools, Institutes under CAT, IIM CAT Website, Online mock CATs etc.